Participation Recommendations: Beginner to advanced walkers, walk/runners, or runners. Must be able to accomplish 30 minutes of walking or running activity by start of program. Walk/Run: Goal is to become better at running for longer durations and get the heart rate up utilizing walk/run intervals, and/or aid in training for a future goal race. You may decide to switch to run group as you progress. Run: Goal is to stay consistent with winter running, run for longer durations, run at higher intensities, and/or aid in training for a future goal race. Winter Warrior Challenge Aspect: We will kick-off the program with a circuit. The challenge will be to see how many repetitions of each exercise you can complete in 30 seconds with 60 seconds of rest in between each exercise. You will have seconds of rest in between each exercise. The challenge is personal-you will have a sheet to mark down the number of exercises you complete-ONLY YOU will see the sheet. At the end of the program, you will have the opportunity to complete the circuit a second time and measure your progress! Modifications for all exercises will be provided. While there will be no “official goal race” you could do the Valentine's 5K on February 11th or you can run or walk Shamrock Shuffle 5K/10K in March! 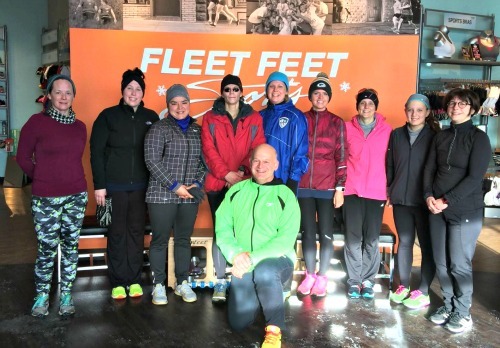 Group Runs: Coached and supported group runs on SUNDAY mornings @ 8:30am at both Fleet Feet Sports locations (Madison & Sun Prairie). Either a Seminar or up to 30 min of Group Strength/Core will follow each group practice. Expect to be at the workouts for 1-2 hours. Other Group Run Options: we strongly encourage you to also take part in our mid-week runs. Camaraderie and support to get outside this winter and stay active! Description: This winter Fleet Feet Sports & Asics will build you into a WARRIOR! The purpose of this program is to help you stay accountable over the winter months and to help kick-start the year off right! 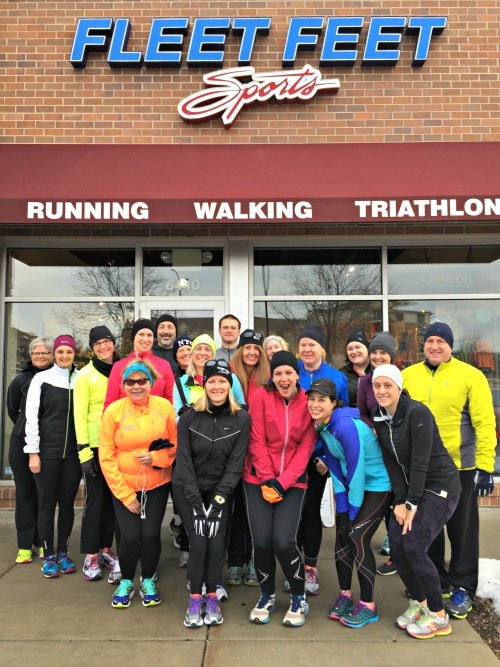 This is a program for everyone-walkers and runners who want some accountability to get outdoors and stay active this winter! Weekend runs are coordinated on time and effort level ? so accommodate a variety of levels. In addition to group training runs, the program will incorporate a circuit to be completed at the start and end of the program to help quantify your progress over the seven weeks!